Have fun making these delightful tic-tac-toe blocks, then Pump Up The Fun creating and arranging the butterflies. 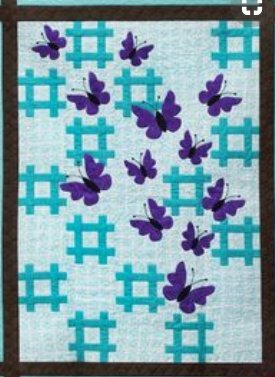 Choose your favorite color of fabric for the quilt and add a contrasting color fabric for the butterflies. This is an advanced beginner quilt pattern. Finished Size: 42" x 54"